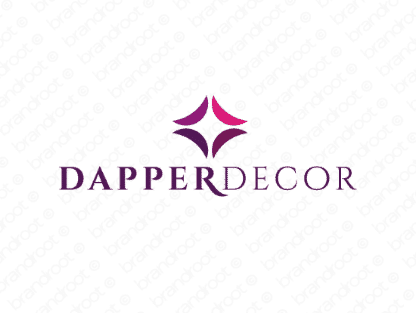 Brand dapperdecor is for sale on Brandroot.com! This cleverly alliterative combo of "dapper" and "decor" is draped in stylish elegance. Dapperdecor is a fantastic match for decor and home furnishings businesses with an eye for contemporary home trends and luxury interiors. You will have full ownership and rights to Dapperdecor.com. One of our professional Brandroot representatives will contact you and walk you through the entire transfer process.